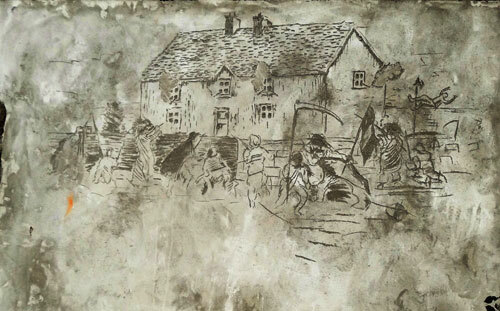 An Etching in plaster of the original Widow McCormack’s family home from a pencil drawing published in the Illustrated London News dated August 12th 1848. Father John Kenyon’s involvement in the preparation for war caused serious concerns for his Bishop Dr Kennedy. When in April 1848, he encouraged a crowd of ten thousand people at Templederry to arm themselves; Dr Kennedy immediately suspended him from clerical duties. He was presented with an ultimatum to either give up politics or be expelled from the priesthood. A compromise was arrived at whereby he agreed that he would not involve himself in the rising unless he considered that there was a reasonable chance of success. Unfortunately he did not explain this constraint to his colleagues – a fact that caused much misunderstanding and anger as the Confederates assembled in Ballingarry County Tipperary a few weeks later. 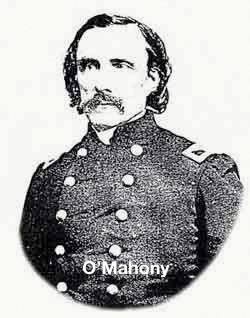 On Thursday 27 July as the Confederates assembled at Ballingarry, William Smith O’Brien dispatched Thomas Francis Meagher, to request Father Kenyon to lead out his men. It was intended that Kenyon’s leadership would extend the rising to North Tipperary, and into Limerick where Richard O’Gorman was awaiting orders. Kenyon’s response was unexpected. He refused, stating that he was not prepared to become involved in “a bootless struggle.” Later he wrote in the parish register: “This evening I have heard of a rebellion in South Tipperary under the leadership of William Smith O’Brien – may God speed it. During the Great Famine, 1845-1850, the Warhouse at Ballingarry, Co. Tipperary, was the scene of the principal action of the 1848 Rebellion by the Young Irelanders. The Young Ireland movement which attracted journalists, barristers, historians and poets was initiated by the Protestant intellectual, Thomas Davis and comprised some of the most brilliant names in modern Irish history. 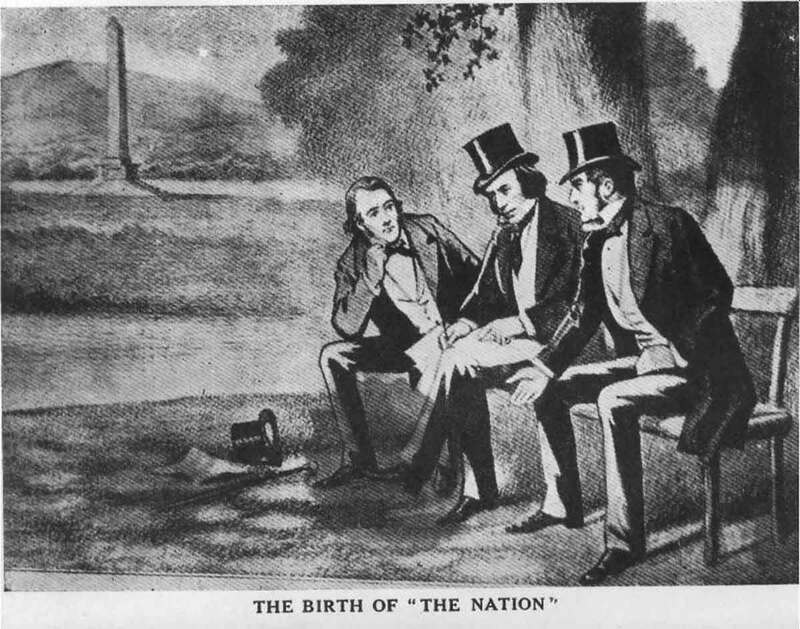 Together with Charles Gavan Duffy and John Blake Dillon, Davis founded The Nation newspaper in 1842 to promote national self-determination, cultural identity and a pluralist Ireland. The Young Irelanders were influenced by the interdenominational ideals of Wolfe Tone and the United Irishmen of the 1790s. They were a ginger group within the Repeal of the Union movement established by Daniel O’Connell to seek an Irish parliament. However, they differed from O’Connell in demanding an Irish parliament regardless of which British political party was in power and they did not rule out the use of physical force in all circumstances. 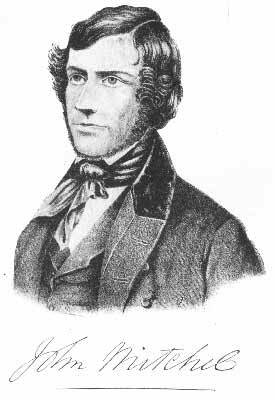 The leader of the Young Irelanders in 1848 was William Smith O’Brien, Member of Parliament for Co. Limerick. O’Brien was an Irish Protestant aristocrat, son of Sir Edward O’Brien of Dromoland Castle, Co. Clare and descended from the High King of Ireland, Brian Boru, who defeated the Danes [Vikings] at the battle of Clontarf in 1014. 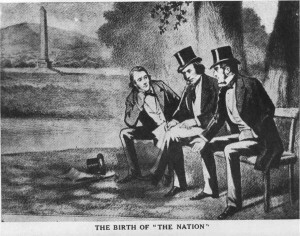 The founders of The Nation Newspaper were three young men – two Catholics and one Protestant – who, according to the historian of the newspaper T. F. O’Sullivan, were all “free from the slightest taint of bigotry, and were anxious to unite all creeds and classes for the country’s welfare.”. They were Charles Gavin Duffy its first editor; Thomas Davis and John Blake Dillon. The Young Irelanders became increasingly discontented and radicalised by the horrors of the Great Famine, 1845-1850. The government was committed to the principle of free trade and its response had not been adequate to prevent deaths on a massive scale. As the famine progressed, the Young Irelanders denounced the government for not doing enough. O’Brien was the most trenchant critic of the government in the House of Commons. Of a total Irish population of eight million, a million people died during the Famine and another million fled into exile, mainly to North America. France was overthrown and a Republic proclaimed in Paris. The French Revolution sent political shock waves across Europe. Revolutions broke out in Berlin, Vienna, Rome, Prague, Budapest and Cracow and, at least temporarily, absolutist governments were replaced by liberal administrations, near universal suffrage was introduced and elections were held to constituent assemblies to draw up new national constitutions. It was described as the “springtime of the peoples”. The Young Irelanders were deeply influenced by these events and the success of liberal, romantic nationalism on the European mainland inspired the movement to contemplate revolution in Ireland. 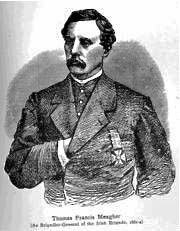 O’Brien and Thomas Francis Meagher led a delegation to Paris to congratulate the new French Republic. Meagher returned to Ireland with the tricolour flag (now the national flag) – a symbol of reconciliation between the Orange and Green. The fact that the continental revolutions were relatively bloodless led O’Brien to believe that he could attain a similar result in Ireland by manifesting the moral will and the moral force of a united people. He hoped to unite landlord and tenant in Ireland in protest against British rule. The Young Irelanders prepared for a Rising in autumn 1848. The government, however, forced their hand on 22 July 1848 by announcing the suspension of Habeas Corpus which meant that the Young Irelanders could be imprisoned on proclamation without trial. O’Brien decided that rather than let the government arrest the leaders of Young Ireland a stand had to be made. From 23-29th July 1848, O’Brien, Meagher and Dillon raised the standard of revolt as they travelled from Co. Wexford, through Co. Kilkenny and into Co. Tipperary. The last great gathering of Young Ireland leaders took place in the village of The Commons on 28 July. On 29 July, O’Brien was in The Commons where barricades had been erected to prevent his arrest. His local supporters – miners, tradesmen and small tenant farmers – awaited the arrival of the military and police. As the police from Callan approached the cross roads before The Commons from Ballingarry they saw barricades in front of them and, thinking discretion the better part of valour, they veered right up the road towards Co. Kilkenny. The rebels followed them across the fields. Sub-Inspector Trant and his forty-six policemen took refuge in a large two-storey farmhouse taking hostage the five young children who were in the house. They barricaded themselves in, pointing their guns from the windows. The house was surrounded by the rebels and a stand-off ensued. Mrs Margaret McCormack, the owner of the house and mother of the children, demanded to be let into her house but the police refused and would not release the children. Mrs McCormack found O’Brien reconnoitring the house from the out-buildings, and asked him what was to become of her children and her house. O’Brien and Mrs McCormack went up to the parlour window of the house to speak to the police. Through the window O’Brien stated : “We are all Irishmen – give up your guns and you are free to go”. O’Brien shook hands with some of the police through the window. The initial report to the Lord Lieutenant of Ireland stated that a constable fired the first shot at O’Brien who was attempting to negotiate. General firing then ensued between the police and the rebels. O’Brien had to be dragged out of the line of fire by James Stephens and Terence Bellew MacManus, both of whom were wounded. The rebels were incensed that they had been fired upon without provocation and the shooting went on for a number of hours. During the initial exchange of fire the rebels at the front of the house – men, woman and children – crouched beneath the wall. So great was the pressure of the crowd that one man, Thomas Walsh, was forced to cross from one side of the front gate to the other. As he crossed between the gate piers he was shot dead by the police. During lulls in the shooting the rebels retreated out of the range of fire. Another man, Patrick McBride, who had been standing at the gable-end of the house when the firing began – and was quite safe where he was – found that his companions had retreated. Jumping up on the wall to run to join them, he was fatally wounded by the police. It was now evident that the position of the police was almost impregnable and a Catholic clergyman of the parish, Rev. Philip Fitzgerald, endeavoured to mediate in the interests of peace. When a party of the Cashel police under Sub Inspector Cox were seen arriving over Boulea hill an attempt was made to stop them by the rebels whose ammunition was low but the police continued to advance, firing up the road and it became clear that the police in the house were about to be reinforced and rescued. The rebels then faded away effectively terminating both the era of Young Ireland and Repeal but the consequences of their actions would follow them for many years. The McCormack family emigrated to the USA about 1853. Since that time the McCormack house (which was owned by a number of other families after 1848) has always been known locally as the Warhouse. 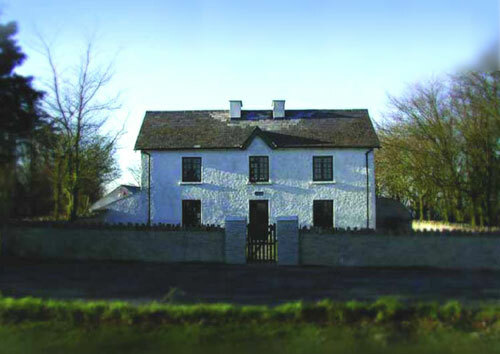 In 2004 the State decided on ‘Famine Warhouse 1848’ as the official name of the house. After the failure of the Rising, O’Brien, Thomas Francis Meagher, Terence Bellew MacManus and Patrick O’Donohue were captured and tried for high treason. Juries found them guilty but recommended mercy. Nevertheless they were sentenced to death by hanging, drawing and quartering. They refused to appeal. The sentences were, however, commuted by a special act of parliament to penal imprisonment for life in Van Diemen’s Land (now Tasmania) in Australia. There, they were joined by Young Ireland colleagues – John Martin, Kevin Izod O’Doherty and John Mitchel. Mitchel had been convicted of treason-felony and sentenced to fourteen years transportation in May 1848. Twenty-one locals from Ballingarry and the surrounding parishes were also arrested and jailed in Ireland. Other Young Irelanders escaped to France and the USA. 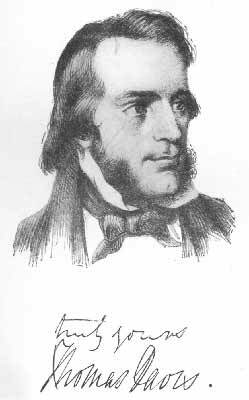 John Blake Dillon returned from America and died as Member of Parliament for County Tipperary in 1866. 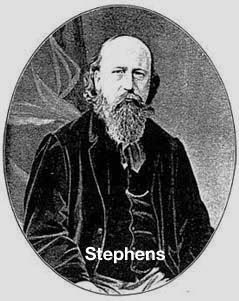 James Stephens, John O’Mahony and Michael Doheny co-founded the Irish Republican Brotherhood (I.R.B) or Fenian movement in 1858. The IRB later organised the unsuccessful Rising of 1867 and the 1916 Rising which led to Irish independence. Of those transported to Australia, a number escaped to America where they became leaders of the Irish diaspora. Meagher became a Union General leading the Irish Brigade in several great and bloody battles of the American Civil War. John Kavanagh who led the pikemen at the Warhouse died as a Captain serving under Meagher in the battle of Antietam. 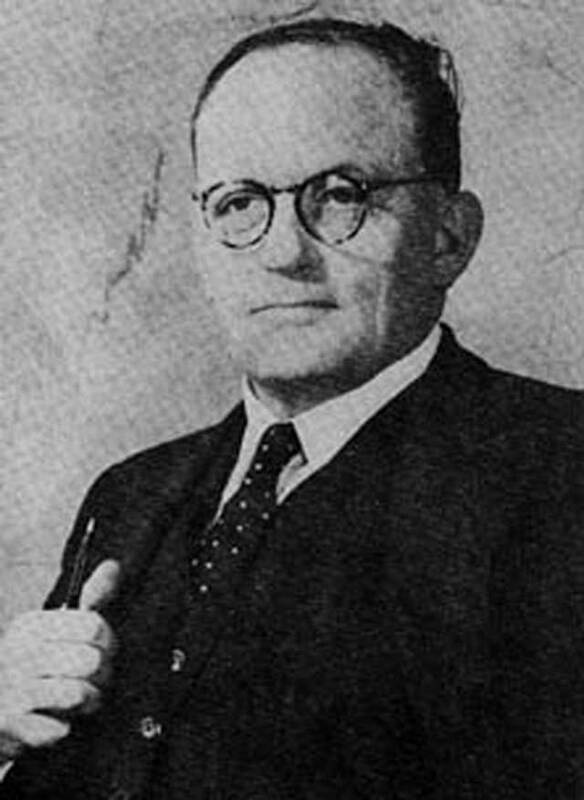 Meagher died as acting Governor of Montana. 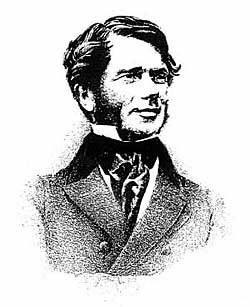 On the other hand, John Mitchel supported the south in the same war. He was later elected Member of Parliament for Co. Tipperary in 1875, the year of his death. 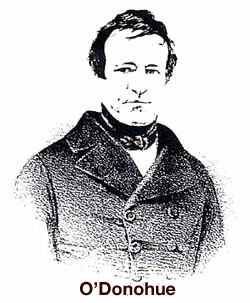 MacManus died in San Francisco in 1861 and was accorded a famous funeral in Ireland. Kevin Izod O’Doherty on his release served as a member of the Queensland legislature in Australia and later as an Irish M.P. 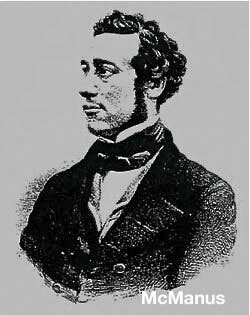 Charles Gavan Duffy whom the government failed to convict at trial, re-opened the Nation which had been suppressed during the Rebellion, and became an M.P. He emigrated to Australia where he became Premier of the State of Victoria in 1871. Duffy later became the historian of the Young Ireland movement. John Martin following his release became a Home Rule M.P. O’Brien was incarcerated on Maria Island, off the coast of Tasmania, and then in a two-roomed cottage (now the O’Brien Museum) within the Port Arthur penal colony. He received a conditional pardon in 1854 which was made unconditional in 1856 and allowed him to return to Ireland. He refused many offers from Irish constituencies to return to the House of Commons. He died in 1864 and is buried in the O’Brien mausoleum, Rathronan, Co. Limerick. His statue stands on O’Connell Street, Dublin. Sunday, the 29th July 1948, was a memorable day in Ballingarry, when people from various parts of County Tipperary, together with Government Ministers, Dáil Deputies, Senators, Army and F.C.A. Detachments, assembled to honour the memory of the men who raised the standard of revolt in the area 100 years before. Long lines of soldiers of the regular army and F.C.A., accompanied by The James Stephen’s Pipe Band, Kilkenny and The Carrick Brass and Reed Band, marched from The Commons to “The Warhouse”. En route the salute was taken by Mr. James M. Dillon, Minister for Agriculture, and at The Warhouse addresses were delivered. On the wall of The Warhouse a plaque, which bears the words “Remember 48” was unveiled. 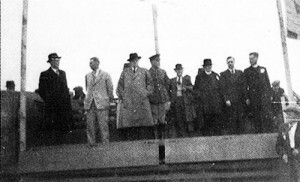 A Guard of Honour was formed for the Ministers by members of Thurles Battn. F.C.A. under 2nd Lieut. J. Lambe. Lieutenants T. Butler, Ballingarry and P/ Moloughney, Dualla carried the colours in the parade. On the saluting base, with Mr. Dillon, were Very. Rev. Canon Fitzgerald P.P. Ballingarry, Gen. Richard Mulcahy, Minister for Education, Mr. Dan Breen T.D., Mr. M.J. Davern T.D., Mrs B. Ryan T.D., W. Quirke, Denis Burke and Frank Loughman; Professor D. Gwynn and Lt. Col. T. Halpin, representing the O/C of the Southern Command and Comdt. M. Hough Staff Officer F.C.A. Southern Command. The parade, composed of one company of the 13th Infantry Battn. 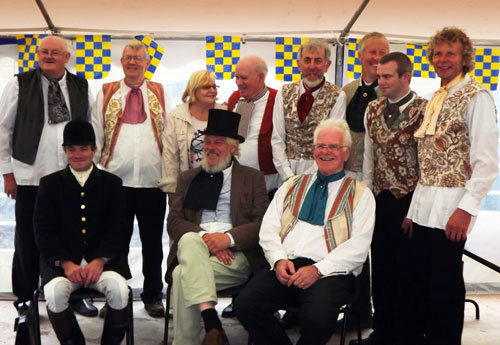 Clonmel and three companies of the F.C.A. was under the command of Comdt. W. Bergin. Capt. P.J. Lambe, Thurles, was in charge of F.C.A. units. In his address rev. Canon Fitzgerald said that they were assembled that day in the company of members of their own Parliament, the members of their councils under the aegis of their own national Army, their own F.C.A. and their own Gardaí, due in no small way to the sacrifices of the men and women of 1848. Professor Gwynn, grandson of William Smith O’ Brien, said that there could be no more fitting place than Ballingarry for them to pay tribute to the men who formed and led the Young Ireland Movement 100 years ago. Chairman: Very Rev. William Canon Fitzgerald P.P. V.F. Treasurer: Very Rev. William Noonan C.C. Committee: Thomas Molloy P.C., Timothy Dunne P.C., Michael Kealy, Michael Maher, Hugh Cormack, Nicholas Dunne, Denis O’ Sullivan, James Egan, Martin Morrissey, John Aylward, Louis Fitzgerald, Oliver Fitzgerald, Godfrey Greene, James Power, Edmond Barrett & John Morris (Poynstown, Glengoole). On the platform at 1948 commemoration at The Warhouse. .Mr. J. Dillon TD asked the assembled crowd how many of them knew where the Tricolour was first flown. Yes, at “The Warhouse” in 1848. “The Minister said that looking back a hundrcd years ago to the day his grandfather John Blake Dillon was in Ballingarry, to 1803 when he won Tipperary from the Tories, to 1870 when his father John Dillon and his uncle brought Mitchel back to Tipperary and won the seat for nationalism again; to 1879 when Parnell sent his father to fight the cause in Tipperary he felt that though he was not born in Tipperary he had a claim to be there that day and the right to speak there. Canon Fitzgerald had referred to the fact that to-day we are a sovereign nation with our own army, our own Gardai and our own flag. He (speaker) would like to ask’ how many there present knew where that flag was first seen in this country; how many knew where that flag was first un-furled in ‘Anger’? It was on the ground on which they stood that day that it was unfurled 100 years ago, it was unfurled to Inspire not a party, not a faction, but a nation. It flies to-day again in Ireland not as the flag of any party, not as the flag of any faction but as the flag of a nation and some day of a united nation. Let them then remember that not only the glory of men whose memory they were celebrating let them recall there in Ballingarry the memory of an Irish country boy who died on the ground on which they now stood and whose blood stained the national flag on the first day it was unfurled. To many his name may be remembered or forgotten by many it may have been said that that boy died in vain that he died foolishly and for a foolish cause. But these who despised his sacrifice were those who would never have had the courage to stand fast and die so that we of this generation might be free. Poem written by William Smith O’ Brien in Clonmel Goal on the day he was sentenced to death. Nobly to struggle and hope to the last. Faint sings the heart of the feeble with fear. Never despair – Boys – Oh! Never despair. Form as the rock of the ocean for ages. Stem the rude torrent till danger is o’er. Never despair! – Boys – Oh! Never despair. Smith O’Brien, James Stephens and Terence Bellow McManus remain in the Commons. Meagher, O’Donoghue, Leyne and Thomas Devin Reilly – headed for the Comeraghs and stay with John O’Mahony at Hanrahans near Nine-Mile-House on the Friday night 28th, A messenger dispatched to Ballingarry returned with false information. The truth only became clear when they were joined by McManus who had escaped from Ballingarry. August 4thSmith O’Brien was arrested as he was waiting for a train at Thurles Station. Meagher, O’Donoghue, Leyne, Thomas Devin Reilly & John O’Mahony were all arrested near Clonoulty Sunday 13th August. 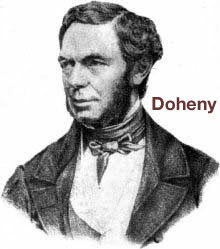 Michael Doheny went to raise Slievenamon, John Blake Dillon to raise Ballaghadereen. both escaped with James Stephens to France Oct 4th and thence to America. Thomas Meagher had been chosen to speak for them all “My Lord this is our first offence, butnot our last, if you will be easy wtth us this once, we promise on our word as gentlemen to try to do better the next tine, and the next time sure we won’t be fools enough to get caught.” The indignant judge sentenced them to be hanged by the neck. but passionate protests from all over the world forced Queen Victoria to commute the sentence, the men were transported for life to the penal colony of the then savage Australia. In 1871 a Sir Charles Gavin Duffy was elected Prime Minister of the Australian state of Victoria. To her amazement Queen Victoria learned from her Prime Minister Disraeli that this was the same CHARLES GAVIN DUFFY who bad been transported for treason 23 yearsbefore. She demanded the records of the other eight convicts and this is what she learned. THOMAS FRANCIS MEAGHER was Governor of Montana. RICHARD O’GORMAN was Governor General of Newfoundland. MORRIS LEYNE was Attorney General of Australia to which office MICHAEL IRELAND succeeded. This amazing true story of nine men banished from their native land to a penal colony for their political views, and in later years becoming outstanding citizens in America, Australia, and Canada, is now a part of the United States Congressional Record in Washington. D.C. This recently restored painting features on horseback Thomas Francis Meagher. Fort Meagher in Crosshaven is named in honour of him. The following article is courtesy of the Irish Times Saturday 23 July 2011. THIS IS A PICTURE worth a thousand words, an accumulation of vignettes mingling the joy of homecoming with the bitterness of defeat and the spectacle of city life in 19th-century Manhattan. Some 150 years later, Louis Lang’s monumental, over 2 Metres high, 3,5 Metres wide panorama The Return of the 69th Irish Regiment conveys the excitement and emotion of July 27th, 1861. It is both a work of art and a feat of reportage unprecedented in its day, as memorable as any news photograph or television image. Lang’s homage to the Irishmen who fought at the First Battle of Bull Run has been hidden from view since the late 1940s. He’d given the painting to the New York Historical Society (NYHS), the city’s oldest museum, in 1886. But after the second World War, it fell victim to the infatuation with modern art and was consigned to the benign neglect of a warehouse in New Jersey, where it dried up and fell into pieces. Now, after five years of planning and restoration, thanks to the tireless efforts of Linda Ferber, vice president and senior art historian at the NYHS, the painting will return as the centre piece of the Historical Society’s re-opening on November 11th, Veterans’ Day. The NYHS is trying to find descendants of those in the painting for the occasion. The event immortalised in Lang’s painting took place on Pier One of the Hudson River, now Battersea Park, six days after the Battle of Bull Run. The officers were educated men, Irish nationalists who fled the wrath of the British. The rank and file were labourers driven out by the Famine. Bull Run was the first significant land battle of the Civil War and an intimation of the terrible slaughter to come. Washingtonians travelled out in horse-drawn carriages packed with picnic hampers, thinking they would watch the Northern soldiers march all the way to the Southern capital of Richmond. The South, which mobilised 40,000 men to the North’s 25,000, lost the illusion that they could quickly beat the men they’d mocked as “shopkeepers”. The battle ended in a chaotic rout for the North. The 69th had fought the Confederates up a steep incline, until Southern reinforcements arrived to overwhelm them. Col Michael Corcoran, the commander of the 69th, organised a square formation around the Union commander, safely extracting him from the battle. Corcoran was wounded and imprisoned for a year in Richmond. The South offered to free him if he promised not to fight again, but he refused. Although he missed the glorious homecoming, Corcoran appears in Lang’s canvas, as a portrait on a broadside, held by a boy in the lower right-hand corner of the painting. “Corcoran’s father was a policeman in Ireland, who got him a post in the constabulary,” says Sarah Snook, a researcher at the NYHS. “But Corcoran didn’t like having to oppress his fellow Irish, so he emigrated.” When the Civil War started, Corcoran was in the process of being court martialed for refusing to parade his troops before the prince of Wales in New York the previous October. But the Union was desperate for volunteers, and forgave his “crime”. 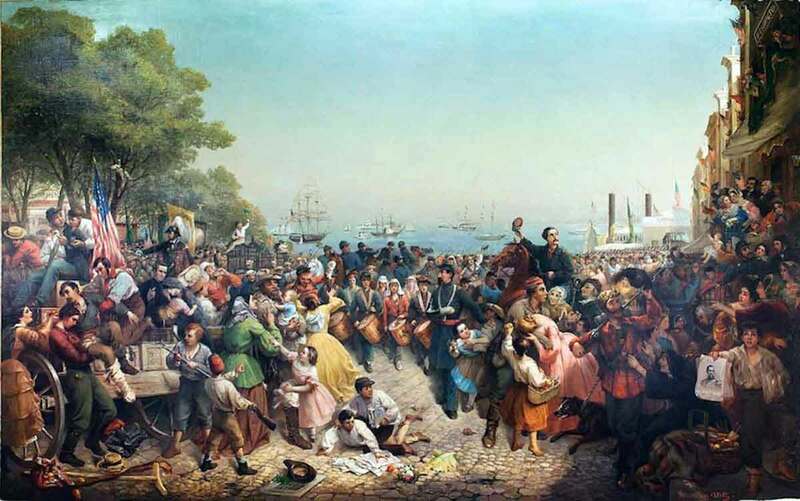 Cpt Thomas Francis Meagher is the central character of Lang’s painting, rising above the crowd on the back of his bay horse, waving his cap to the Irish-American grandees on the balcony of the Washington Hotel. After a trip to Paris to congratulate France on its 1848 revolution, it was Meagher who brought back the tricolour that would become the flag of independent Ireland. Richard O’Gorman, who like Meagher was a member of the Young Ireland movement and a leader of the 1848 rebellion, is among the dignitaries saluting the return of the 69th. A lawyer, O’Gorman defended Corcoran in his court martial, and later became a New York judge. Two months after Bull Run, Meagher founded the Irish Brigade, which would fight heroically at the Battle of Fredericksburg in December 1862. He later became governor of Montana and drowned in a river crossing while leading an expedition to rescue white settlers from Native Americans. The Irish immigrants who gathered at the southern tip of Manhattan that July day idolised Meagher. “Long life to Captain Meagher, that Irish blood of fame/Who wore the Harp and Shamrock upon the Battle plain/Who said unto his warlike men: Remember Fontenoy!” runs a stanza in Battle of Bull Run, a poem handed out as a broadside ballad on the day. “Then we did retreat, but were not beat at the Battle of Bull Run!” the same poem concludes. The 69th changed chaplains just before Bull Run. In April, Fr Thomas Mooney had travelled with the volunteers from New York, accompanied them by boat to Annapolis, to their encampment in Georgetown and then, in late May, to Arlington Heights, across the Potomac. There, recounts Sarah Snook of the NYHS, 1,200 Irishmen built Fort Corcoran, 650 feet by 450 feet with walls 14 feet high, in just one week. When their first artillery piece arrived on July 13th, Col Corcoran asked Father Mooney to bless it. Fr Mooney took it upon himself to “baptise” the canon with holy water. “He made a little speech, saying ‘Parents look forward to the first words of their children. I look forward to the first roar from the mouth of this babe,’ ” Snook says. John Hughes, the first archbishop of New York, was so furious when he heard of the “baptism” that he replaced Mooney with Fr Bernard O’Reilly. It is O’Reilly who appears to the left centre of Lang’s painting, attempting to comfort a grief-stricken woman holding a child, doubtless a widow of one of the 41 men from the 69th who were killed at Bull Run. When it was shown in a solo exhibition at Goupil’s Gallery on Broadway in October 1862, “The Return of the 69th received somewhat tepid critical reviews,” says Linda Ferber, the force behind the painting’s resurrection. “But it was always a popular success.” Paintings of contemporary history were relatively new, and to exhibit a monumental canvas portraying an event only 15 months after it occurred was incredible, Ferber adds. The painting was shown twice more, once in Philadelphia to raise funds for Union troops, before languishing for 22 years in Lang’s studio. Barbara Gallanti is the guest curator of Making American Taste: Narrative Art for a New Democracy, the exhibition at the NYHS where Lang’s painting will be the star attraction in November. “Why had this painting gone to rack and ruin? Why has it not been seen?” she asks. When the Irish returned from Bull Run, they were praised for endurance, pluck and heroism. “Well may our adopted citizens be proud of a regiment that has nobly sustained the glory and heroism of their native land, while defending the flag of their adoption,” said the pamphlet at Goupil’s Gallery in 1862. But in 1863, two years after Bull Run, the warm feelings towards the “sons of Erin” dissipated. The Union imposed conscription, but any man rich enough to pay $300 could buy his way out. Irish labourers in New York revolted in four days of draft riots that left at least 120 civilians dead. Many buildings were destroyed, including an orphanage for black children. Some of those targeted were also Irish, among them police superintendent John A Kennedy and assistant provost-marshal-general Robert Nugent. The mob invaded Nugent’s upper east side home and threw his furniture out the windows. Nugent had fought at Bull Run with the 69th. He stands just to the right of the drummer boys in Lang’s painting, his wounded arm in a sling. 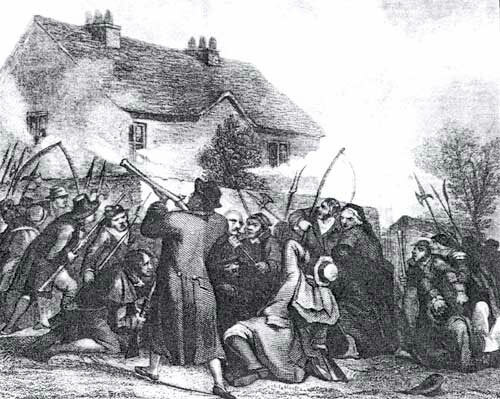 The Irish were not the only ones who rioted, but they were blamed for it. The insurrection fanned anti-Catholic and anti-immigrant prejudice, and helps to explain why such a great painting was ignored for so long. “ John D. McCormack, a widely known and highly respected resident of Trenton, New Jersey, for fifty years, died on December 11th 1903. The deceased had for many years conducted a Job printing establishment, and was editor and proprietor of the Potters Journal. the official organ of the pottery workers of America. In his early days he had worked at the potters bench, but had given up the business for the printers case in the early eighties. He was a prominent figure in labour organisations, aiding every movement making for the workers improvement with voice and pen. He was a tireless worker for the church, and in the cause of charity he was ever at the front, as the good sisters in in charge of St. Francis Hospital, for instance, can testify to. But it was for his painstaking research in the interest of the early history of Catholicity in New Jersey that Mr McCormack was particularly distinguished, and many hidden or obscure records pertaining to Catholicism in the Colonial period were brought to light through his untiring efforts. Modest and unassuming in deportment, he possessed literary ability in a marked degree, and had collected at the time of his death voluminous data which he intended publishing in a book as a history of Catholicity in New Jersey. He was a native of Ballingarry, Co. Tipperary, Ireland, coming here when he was only 11 years of age. During the “Smith O’Brien insurrection” in 1848, a squad of Policemen, numbering about fifty, were marching along a highway not far from the McCormack homestead, and finding themselves suddenly confronted by a body of insurgents led by O’Brien and Thomas Francis Meagher, made a dash for the house, took forcible possession of it, barricading the doors and windows. There they were held in a state of siege for several hours, when strong reinforcements coming to their aid, the besiegers withdrew, after loosing two killed of their number. Mr McCormack had a vivid recollection of this incident, although a lad of tender years when it occurred. The sudden rush of the frightened constabulary into the little isolated home, the unavailing protests of his widowed mother against the intrusion, the screams of his terrified brothers and sisters, the shooting and general uproar, made an indelible impression on his youthful mind that the lapse of long years did not efface. and from 2 – 4pm every Saturday and Sunday from October to March inclusive. At other times it is freely open by appointment, contact the OPW local number 087-9089972 (this number is on the signs at the public road entrance) or from outside Ireland +353 87 9089972. Free Visitors’ Guide leaflets available in both Irish and English.